When Ann was a resource specialist in middle school, she taught many foster youth where the youth were placed in her program awaiting documents from their last placement. Sadly they were often moved again before they could build connections or even get the necessary paperwork. She felt compassion for these youth who often could not make their own decisions or could not participate in coming of age learning activities. When Ann retired from teaching 10 years ago, she knew that she wanted to be involved with these youth and JIT was the perfect place for her to spend her time. She loves volunteering at College Bound (she has been to every one) as well as helping with My First Home. Ann remembers when JIT started, she helped make baskets for youth, and over the years she has seen how JIT has changed. As one of our bargain shoppers, Ann is always finding the best household deals and often helping to set up first apartments. And, she stops by the office with homemade cookies. 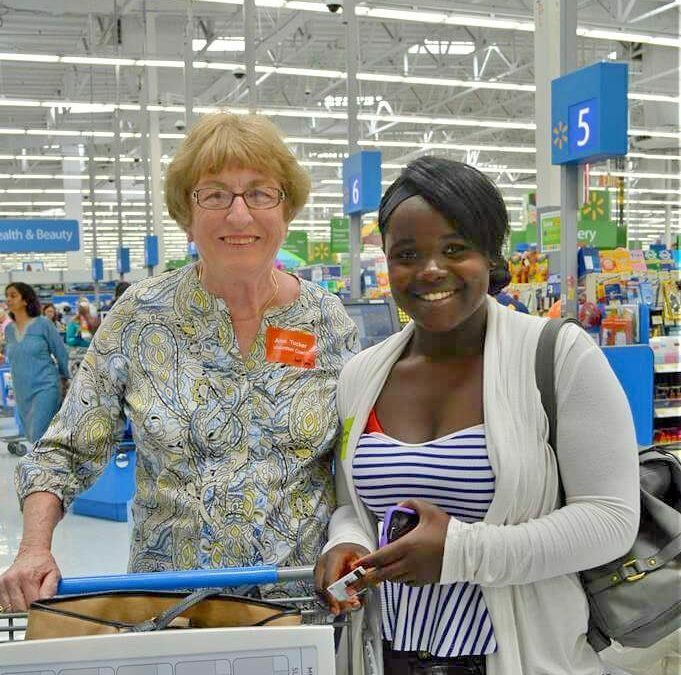 Ann truly loves being a listener and support person for former foster youth. She sees how resilient, determined, and strong these young adults are. Whether a youth needs someone to confide in about a troubling time or share a college acceptance letter, she is there to listen. Not only is she there emotionally for the youth, she will help them shop for work clothes or drive them to a job interview. Ann likes being involved on the ground level with the youth and we can all agree she definitely is! As a volunteer with JIT for almost 9 years; Ann finds it very rewarding to be a part of helping these youth become amazing, independent, self-sufficient adults. She says that all of the volunteers are great and are a crucial part of the success of Just in Time. Ann feels that her time with JIT is helping to make a positive impact on the youth’ lives as they transition from foster care into adulthood. Think about whom you called when life’s milestones came about – now think about if those people were not there for you. This is where our volunteers come in.